With growing public interest in how states and localities provide access to pre-kindergarten and kindergarten, policymakers are increasingly being forced to confront the numerous, contradictory ways in which children’s learning opportunities are measured. 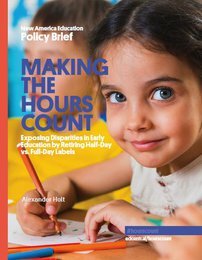 Labels like “half-day” and “full-day” have become widely embraced by state and local governments offering pre-K and kindergarten, but these terms have come to take on widely varying meanings. A full-day program, depending how it is defined by the state, city, or school district administering it, can entail anything up to four times as much class time as a half-day program, while half-day programs can also vary significantly in the number of days and hours they are administered. And while a good education requires more than just greater hours in a classroom, understanding the linkages between class time and learning outcomes is impossible as long as class time is so imprecisely measured. 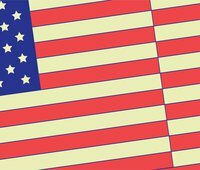 A new paper from New America policy analyst Alexander Holt argues that these terms need to be scrapped: that governments and organizations using public revenue to fund education should be required to report publicly the number of hours that children have the opportunity to attend pre-K and kindergarten in their jurisdictions. The upshot will be fairer comparisons of learning time, allowing policymakers to make better judgments about the influence of classroom time on learning outcomes.